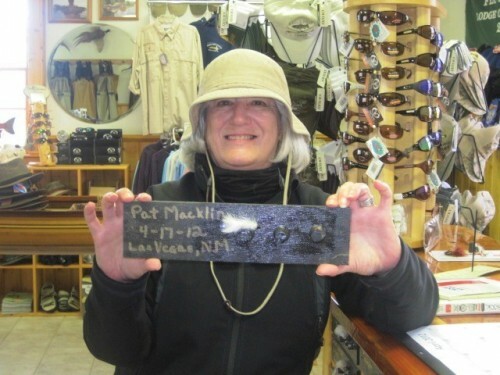 Pat is the first guest of the year to put her name on the Trifecta Board. 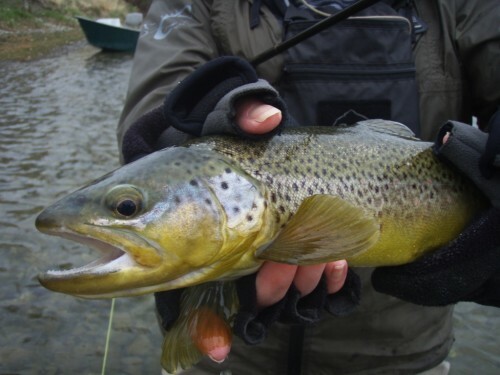 Fish on a nymph, streamer, and dry fly all in one day. BILLINGS, MONT. 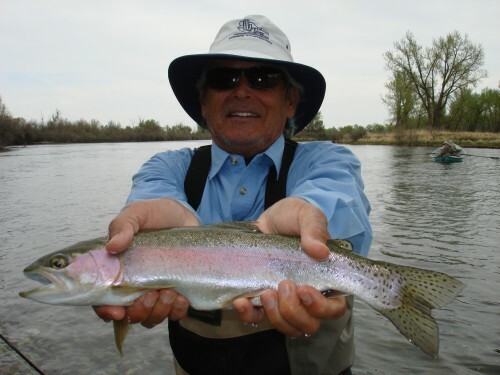 — The Bureau of Reclamation will provide a flushing flow to the Bighorn River below Yellowtail Dam beginning Monday, April 9. 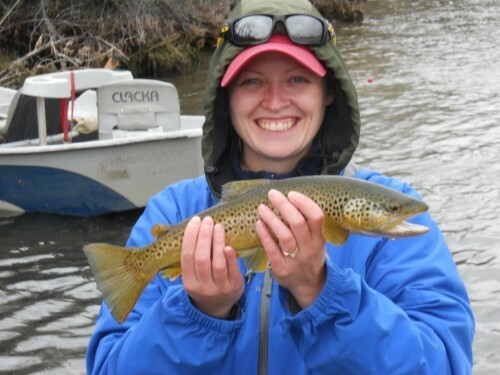 The flushing flow is being coordinated with Montana Fish Wildlife and Parks as part of a multi-year study aimed at restoring historic side channels and fish habitat in the Bighorn River. The flushing flow is scheduled to begin at 8:00 a.m. on Monday, April 9, and be completed by 8:00 a.m. on Thursday, April 12. During the flush, flows in the Bighorn River will be stepped-up incrementally from the current flow of 2,880 cubic feet-per-second (cfs) to a maximum of about 7,000 cfs and held at that rate for approximately 12 hours before stepping incrementally back down. The maximum flow of 7,000 cfs is expected to occur on Tuesday, April 10 between the hours of 8:00 a.m. and 8:00 p.m. During the flushing flow, the river stage is expected to vary by approximately 2 feet. River recreationists are advised to exercise extra caution throughout the duration of the flush. For additional information, please contact Paula Holwegner of the Montana Area Office, Bureau of Reclamation, at 406-247-7300. It is fishing extremely well. 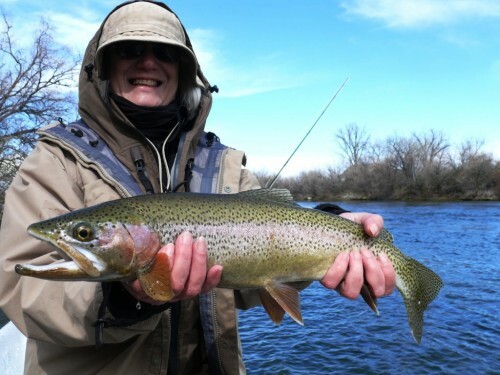 The flow was at 3,000 cfs on Tuesday and the water temp was 39-40 degrees at the Afterbay. 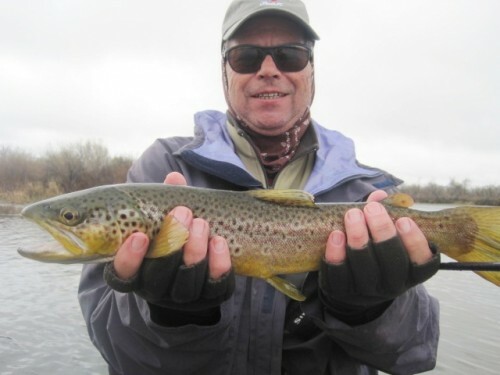 There has been a lot of dry fly activity from 10 a.m. on. 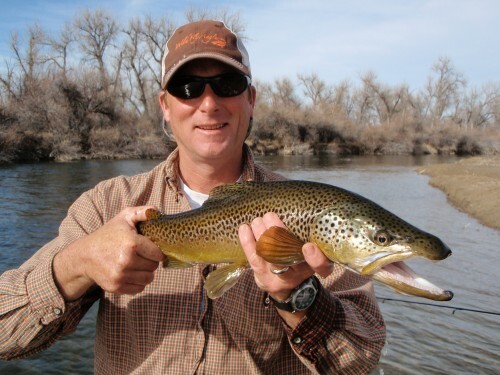 Fish will take a Griffith’s gnat and cluster midge in size 16-20. Nymph fishermen should try a pink or tan firebead Ray Charles (14-16). Try a root beer midge pupa or cream midge pupa (18). 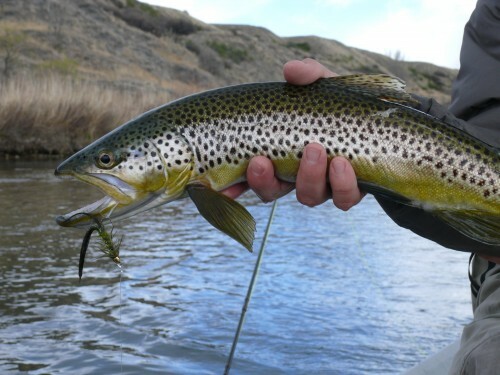 A few guys are stripping streamers in black or olive wooly buggers. 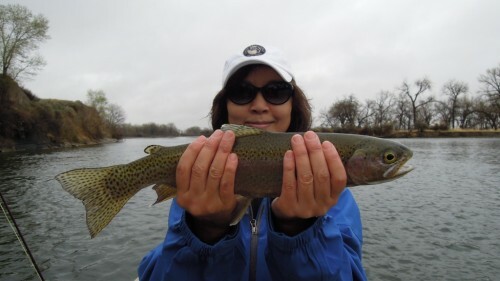 There haven’t been any signs of rainbows getting ready to spawn. That should start in mid-April.